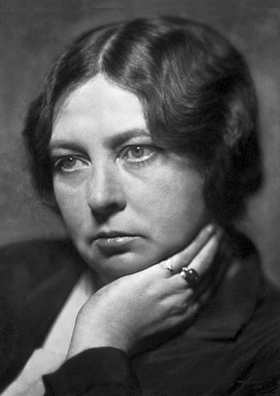 Undset was born in Kalundborg, Denmark, but her family moved to Norway when she was two years old. In 1924, she converted to Roman Catholicism. She fled Norway for the United States in 1940 because of her opposition to Nazi Germany and the German occupation, but returned after World War II ended in 1945. 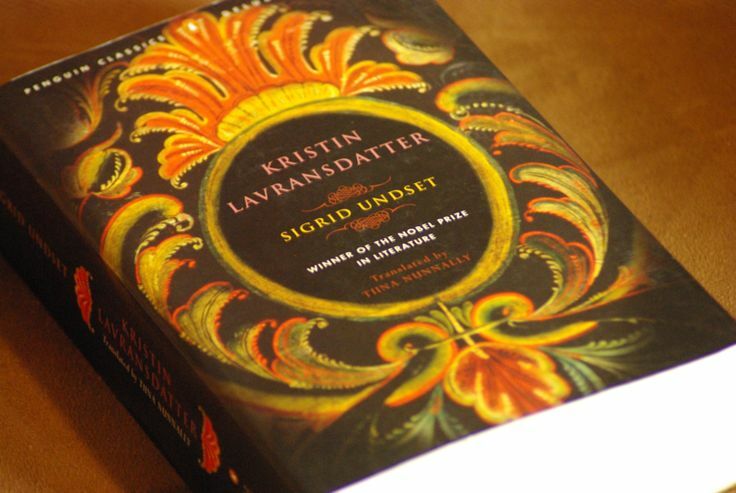 Her best-known work is Kristin Lavransdatter, a trilogy about life in Scandinavia in the Middle Ages, portrayed through the experiences of a woman from birth until death. Its three volumes were published between 1920 and 1922. The individual novels are Kransen (The Wreath), first published in 1920, Husfrue (The Wife), published in 1921, and Korset (The Cross), published in 1922. Kransen and Husfrue were translated from the original Norwegian as The Bridal Wreath and The Mistress of Husaby, respectively. 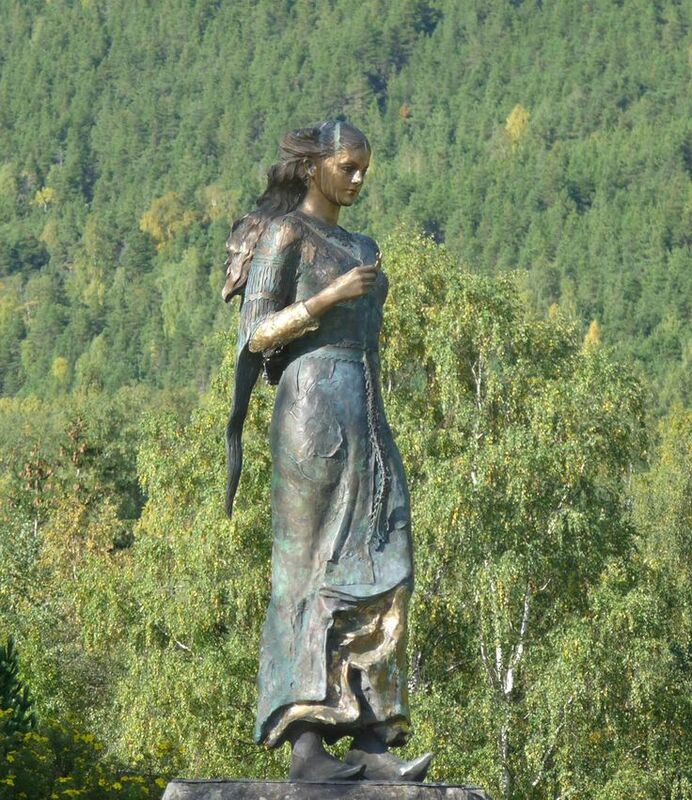 This sculpture of Kristin Lavransdatter stands in Sel. The medieval center of Jørundgard is nearby. Undset lived in Bjerkebæk near Lillehammer most of her life.